He has the most evil man in the world (Alan) living next door to him, and when Wilf finds out that he’s going on holiday to Africa, he has even more to worry about – particularly as Alan is coming with. The text is packed with slapstick, jokes about storytelling, and silly dialogue, as well as the author using funny chapter titles, footnotes, different typefaces and bold text to highlight different comedy aspects of the story. Stuart the woodlouse has a starring role too, told in his own words. It’s highly entertaining, and exaggerated with Littler’s brilliant illustrations, which are cartoon-like and show incidences from different angles (at times from above). Personally for me, the illustrations of little sister Dot win the day. 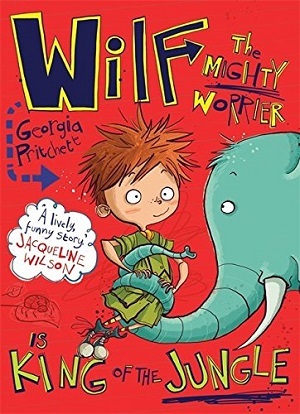 This is a great book to reassure children who worry a little, featuring a fabulous unlikely hero, and a cast of weird and wonderfuls. Human, fun, and exuberant. You can find it here. 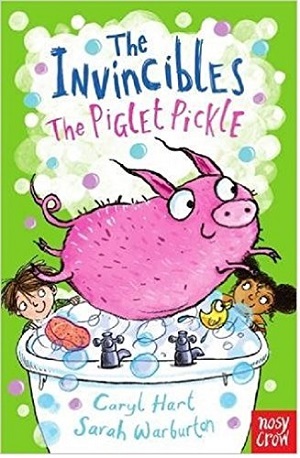 Following in the footsteps of such titles as Wigglesbottom Primary with its two tone illustrations throughout – this is another series from the same publishers, and is sparky and bright. Written as if the main character is talking to the reader as a friend, the text is immediately accessible. It also describes everything in a matter of fact every day style – with resonance points for the reader, such as building a den and a school trip. It’s the school trip that triggers the main plotline – as Nell’s best friend smuggles a piglet home from the farm. There are some beautiful touches in here, some great characters – the sibling dimension and a super portrayal of a teen is explored with Nell’s older brother Lucas, which is just as well depicted in the illustrations as the text – from his slouching to his brotherly hug. Twists and turns, and an escaped piglet…the fun continues right to the end. A great new series; taking over the mantle from Horrid Henry’s and suchlike. Available here. Another new series on the block, this is part novel, part comic, with far more illustrations than words, and will go down really well with readers who may struggle with longer text books at this stage. It’s also very funny. Working on the irony of ‘opposites’, the leader of the bad guys – Mr Wolf – decides that their reputation stinks, so they should work together as good guys on good missions. For example, rescuing animals in distress – firstly by breaking 200 dogs out of the Maximum Security City Dog Pound. Of course, with the bad buys including a Mr Piranha, a Mr Snake and a Mr Shark – it was never going to be plain sailing. 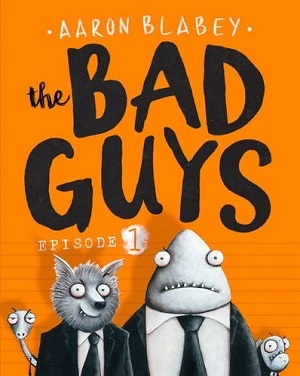 It’s easy to read, packed with stupid humour, and told in great comic book style with adult references, such as to Reservoir Dogs – a typical bad boy gang. No child can fail to laugh at Mr Shark dressed up on page 104. This is definitely a read for the cool kids, even if, for this adult, the idea wasn’t exactly original. You can buy it here. Perhaps leaning slightly more to an older age group than the other books featured here, and more dry humour than laughs out loud, this is a denser text with fewer illustrations, and less of a tendency to play with italics and bold text, although it still does to some extent. It’s also a standalone title, as opposed to the other books here. 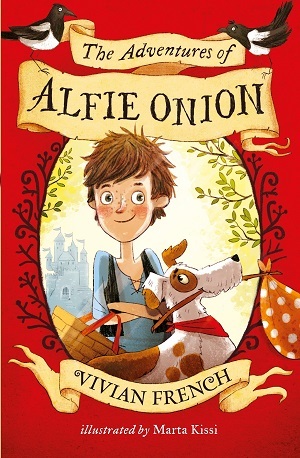 Told by experienced storyteller Vivian French, Alfie Onion mixes together conventional storytelling and fairy tales with a rather unconventional hero. Alfie’s older brother should be the hero of the story – born as the seventh son of the seventh son and with his name Magnifico Onion, but he’s a little bit dumpy and a little bit cowardly. Step in eighth son, Alfie, to save the day and ensure his family lives Happily Ever After. Navigating through forests, defeating ogres, talking with steadfast animals, and ignoring meddling magpies, Alfie Onion has many obstacles to overcome. This Happy Ever After tale is as traditional in its story arc and telling as it is unconventional in its hero, characters and ending but all the more refreshing for it. There are tones of Shrek throughout in the anti-hero stance and the humour, as well as the talking animals, but it retains a charm of its own. Well worth plucking from the shelves here.